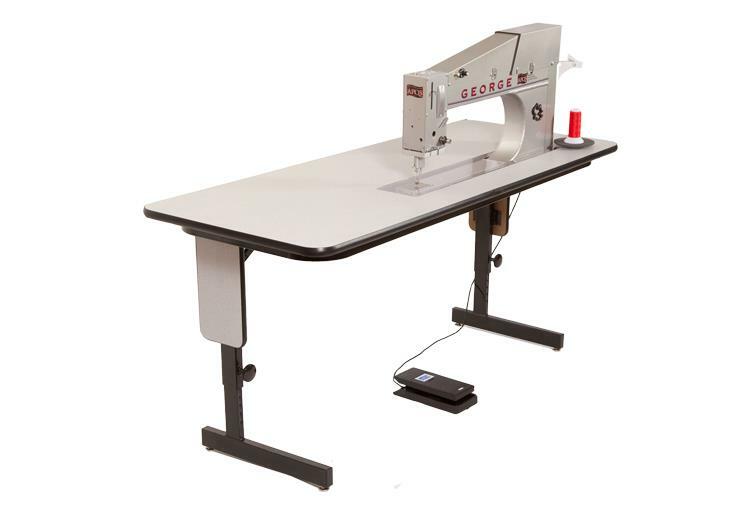 This is a George machine from APQS. It is a sit down longarm machine for machine quilting. •Throat size of 20" x 8" - Having a large space to quilt means you can select the large flowing designs we all love without having to stitch them in two passes. •Weight 37 lbs (16.8 kgs) - Enjoy the lightest-weight machine to enhance maneuverability and control, without taking a toll on your body. Can I Please keep it?